You are planning to organize unforgettable baby shower and to make an impression on guests using all means possible? We can help you. We have a variety of ideas for the distinguished celebration. Our balloon photo booth, free invitation cards and gender reveal balloons won’t remain unnoticed. The selection of baby boy shower balloons will help you to settle perfect decoration all around the venue, even the mailbox will indicate the place where the party is ready to start. Some mylar balloons are specially designed to match jungle or safari theme. Our decorations, Baby Boy Shower Balloons, any other subtle details, different keepsakes and presents like onesies or stuffed toys can turn the celebration into unique experience for the expectant mother and other guests. Of course we appreciate each our customer and you won’t need to worry about the delivery because our offer includes free shipping. 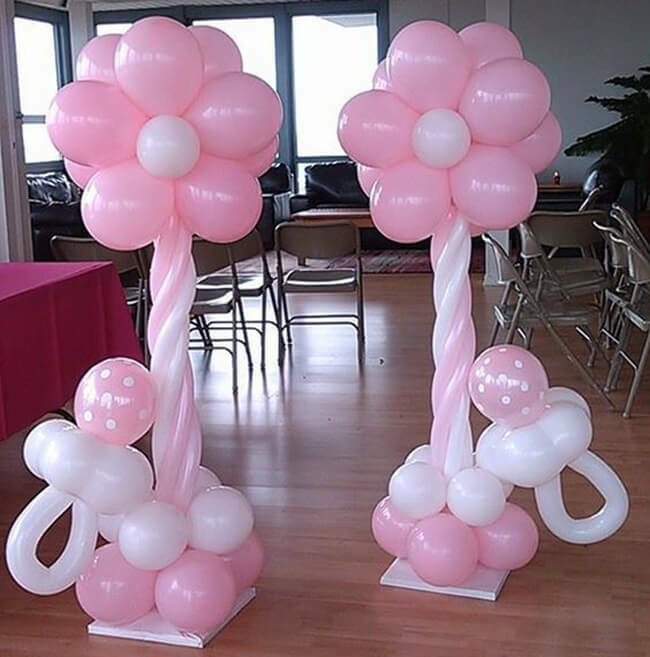 If you are intending to create a balloon photo booth, you’ll need to make a forest from balloons positioned on various heights with a proper path to the center of the booth between them. Every guest will stand in the booth carrying an extra balloon with specific letter painted on it. Afterwards it’ll be easy to design a photo book online.